ECSTATIC NIGHTS has arrived!!! Come get your groove on at our first night time dance event in Brentwood LA!!! Ecstatic Dance is an incredible event that weaves together world class DJs, immersive sound journeys, and free-form movement. 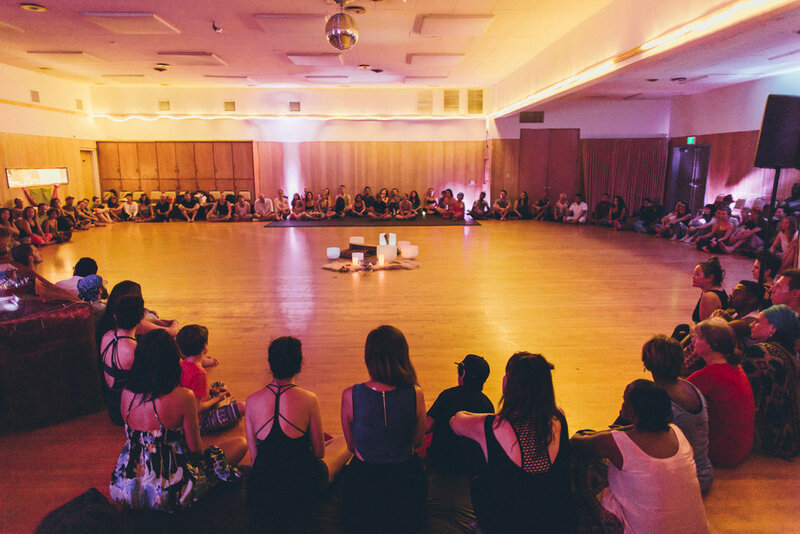 It's a substance-free, community celebration where you can simply BE yourself, and experience rejuvenation and inspiration through connection, dance & music. 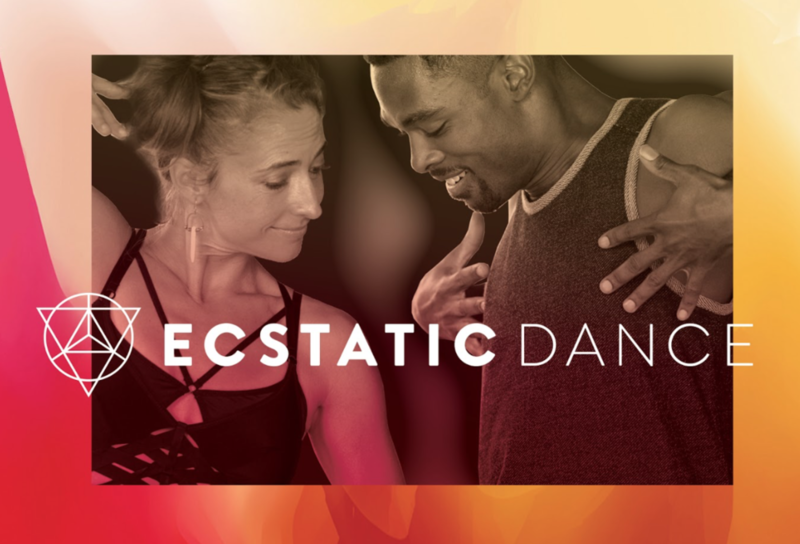 Ecstatic Dance Los Angeles is excited to partner with AZIAM Yoga studio to bring you the first evening Ecstatic Dance experience we've created. The event will open with a yoga warm up led by the founder of AZIAM Studio- Alanna Zabel. 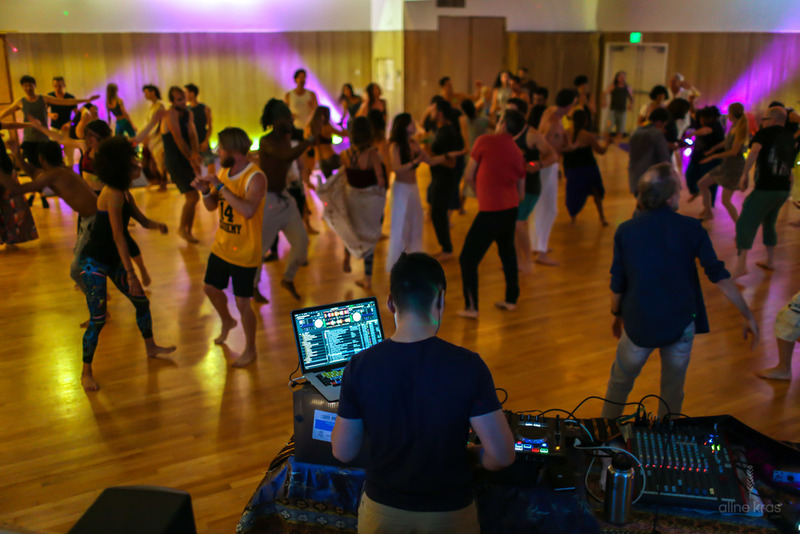 After that, Dj Maasha will provide the music for our Ecstatic Dance journey, and we will end with a sound healing experience and closing circle. 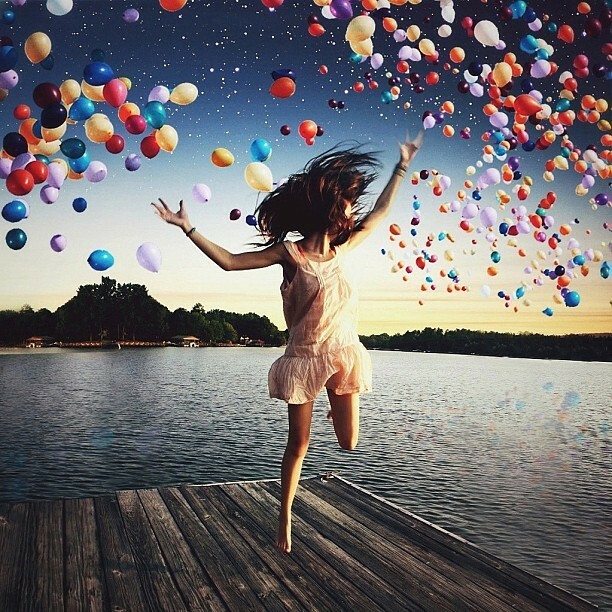 Come party in the healthiest way- stretching, playing and dancing like nobodies watching! This is a drug & alcohol free event. You'll be able to enjoy healthy beverages on our beautiful outdoor patio! DJ Maasha was born in St. Petersburg, Russia and raised in Brooklyn, NY. Originally trained in classical music, she now seamlessly weaves together genres to create a hypnotic live music experience. Maasha's work is geared toward bringing people together to inspire spontaneity, acts of kindness, unity and social change. The major driving force behind her DJing is her dedication to the evolution of consciousness. On her turntables DJ Maasha spins house, pop, rock, hip hop, dubstep, oldies, funk, reggae, gypsy cosmic punk, classical music, electronic dance music, psytrance, folk, tribal beats, experimental, etc. *High volume music with lots of bass. Complimentary earplugs will be provided. *No unauthorized photo or video allowed. * We don't recommend bringing children under 16, but if you must, then they must be supervised by a responsible adult at all times. *A good attitude, open heart, your business card or flyers for networking.